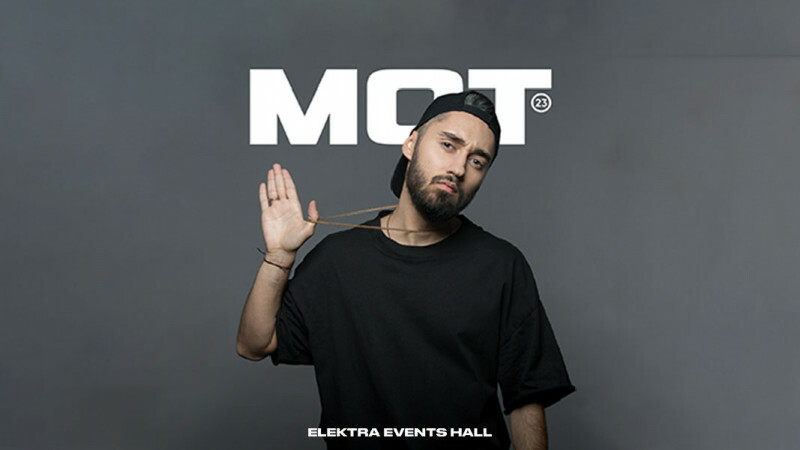 MOT in Elektra Events Hall buy tickets online. Delivery of tickets for the event MOT. Mot is a singer of Black Star label, a participant of Black Star Mafia project. He doesn’t need to be introdused: his soundtracks become hits immediately and reach the top of the country’s music charts. He is the author of songs such as ‘Soprano’ (feat, Any Lorak), ‘Trap’, ‘Completely everything’ (feat, Byanka), ‘Night and day’, ‘How many years’(feat, Valery Meladze), the winner of the all kinds of prestigious musical awards. He has skillfully combined the elements of hip-hop, soul and danse music. He has a special voice which doesn’t resemble no one else’s and that becomes his visiting card. The singer’s tour schedule has been booked up for several month forward, each of the concerts receive a standing ovation from the audience.